Thanks to no-frills airlines, great rail and road links and efficient and far-reaching coach transport, Scotland is certainly easier and cheaper to reach than ever before. 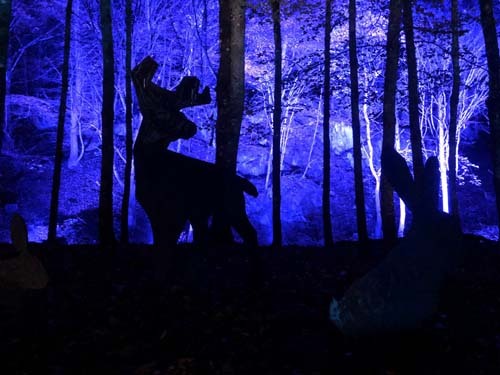 Whether you want a family holiday break or a short weekend for twelve away with friends from the kids, the choice of quality large self-catering holiday rental properties in Southern Scotland, the Highlands and Islands is second to none. Scotland is no longer just a country to be smiled about when bagpipes, kilts and haggis are mentioned. It’s a large country offering a multitude of destinations of all descriptions. There are small towns and hamlets, major cities and towns, harbour villages, islands and unspoilt beaches gently armed by the Gulf Stream where you can relax and enjoy some typical Scottish hospitality at the pace you want. Well known for its festive events, Hogmanay celebrations - New Year is a wonderful time to visit Scotland. If you are keen on having a gentle first introduction to Scotland, then Dumfries and Galloway is within easy reach of the M6 motorway. There is plenty of big self catering accommodation and many large cottages available in the area. The area surrounding the Solway Firth in the southern area is worthy of mention. Southerness has a very long beach divided into two by a line of rocks jutting out into the Firth. It is also home to the second oldest lighthouse in Scotland. John Paul Jones who founded the American navy was born in a cottage overlooking the Solway. 25 miles west of Dumfries is the fishing port of Kirkcudbright, with its pastel coloured houses and wide streets, also known as "The Artists' Town". This is the perfect town to use as a base for your exploration of the area. There is a wide selection of mainly family owned shops where you can get almost anything, and parking is free all over the town. There are plenty of towns and hamlets nearby, in particular Scotland's answer to Hay-on-Wye, Wigtown, with dozens of bookshops and a literary festival every September. Large holiday house in The Scottish Borders near Kelso with 5 bedroom, sleeps 10, Pets friendly, Ground Floor Facilities, Cot Available. A unique large holiday home in Argyll and Bute near Lochgilphead with 4 bedroom, sleeps 10, Pets friendly, Ground Floor Facilities, Pub within 1 mile, Cot Available, Coastal Property. A unique large holiday home in Argyll and Bute near Dunoon with 5 bedroom, sleeps 10, Pets friendly, Ground Floor Facilities, Wifi, Cot Available, Coastal Property. Large rental cottage in The Scottish Borders near Eyemouth with 5 bedroom, sleeps 10, No pets, Barbecue, Wifi, Cot Available, Coastal Property. Vacation retreat in Highlands near Ballindalloch with 5 bedroom, sleeps 10, Pets friendly, Wifi. Large property for holiday let in Dumfries and Galloway near Stranraer with 5 bedroom, sleeps 10, Pets friendly, Pub within 1 mile, Sea View, Wifi, Cot Available. Of course the entire west coast of Scotland is a mass of islands, long peninsulas and inlets just perfect as a holiday destination. Why not drive to the end of the Mull of Kintyre and sing that famous of all songs to the wildlife? Or perhaps nip across to Islay on the ferry to visit the home of the fantastic Islay malt whiskeys, including the magnificent Laphroaig. Further to the north finds Mull and Skye (which can now be reached via a bridge) as well as the Inner and Outer Hebrides. Or perhaps you might prefer to venture even further to the famous John O'Groats (most northerly point on mainland UK) or the Orkneys and Shetlands. Here you will find a great variety of quality self-catering accommodation available for large groups of guests to rent. Eastern Scotland is said my many to have a totally different character and ambience to that of the West. The Border area, just to the north-east of Newcastle, provides superb walking around the Southern Uplands, while there is gentler agricultural country in and around the towns of Hawick, Coldstream and Jedburgh in the borders and Northumberland. Fife, or the 'Kingdom' as it is more popularly referred to, is north of Edinburgh, itself a city most worthy of a visit. The most eastern border of Fife - the East Neuk - is a very popular holiday destination, with its extremely picturesque fishing villages and of course St Andrews, home of one of the world's most famous championship golf courses. So popular for arranging golfing holidays and action packed activities on the beach - such as paragliding, sand yachting, riding, cycling and swimming. 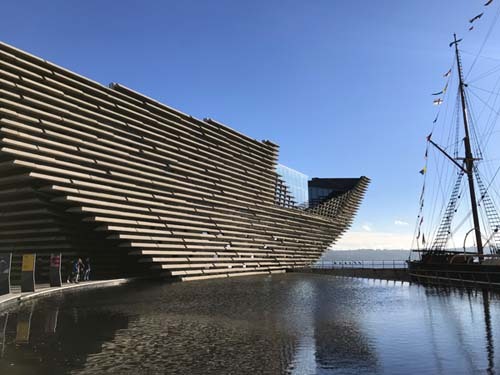 Dundee with the new V&A that opened in 2018 has become a very attractive place to holiday, and within easy reach of Fife, Perthshire and Angus - so sporting, beach, walking, retail and culture are all covered, and it's easy to entertain a big crowd. Even last minute flights to Dundee airport can be found! Perth is not far away, and then, almost within the blink of an eye, it’s the incredibly scenery of Ben Nevis, Glencoe, Aviemore and the Highlands. This is prime walking country and superb for the perfect Scottish self catering walking holiday. Large family holiday rental in Dumfries and Galloway near Stranraer with 7 bedroom, sleeps 15, Pets friendly, Ground Floor Facilities, Pub within 1 mile, Sea View, Cot Available, Coastal Property. Luxury accommodation in Norfolk near Norwich with 6 bedroom, sleeps 12, No pets, Pub within 1 mile, Wifi, Private Hot Tub. Big house to rent in Cumbria near Lowick with 7 bedroom, sleeps 13, Pets friendly, Barbecue, Ground Floor Facilities, Pub within 1 mile, Cot Available, Coastal Property. Outstanding large holiday house in Dorset near Swanage with 8 bedroom, sleeps 16, No pets, Barbecue, Ground Floor Facilities, Wifi, Cot Available, Coastal Property.